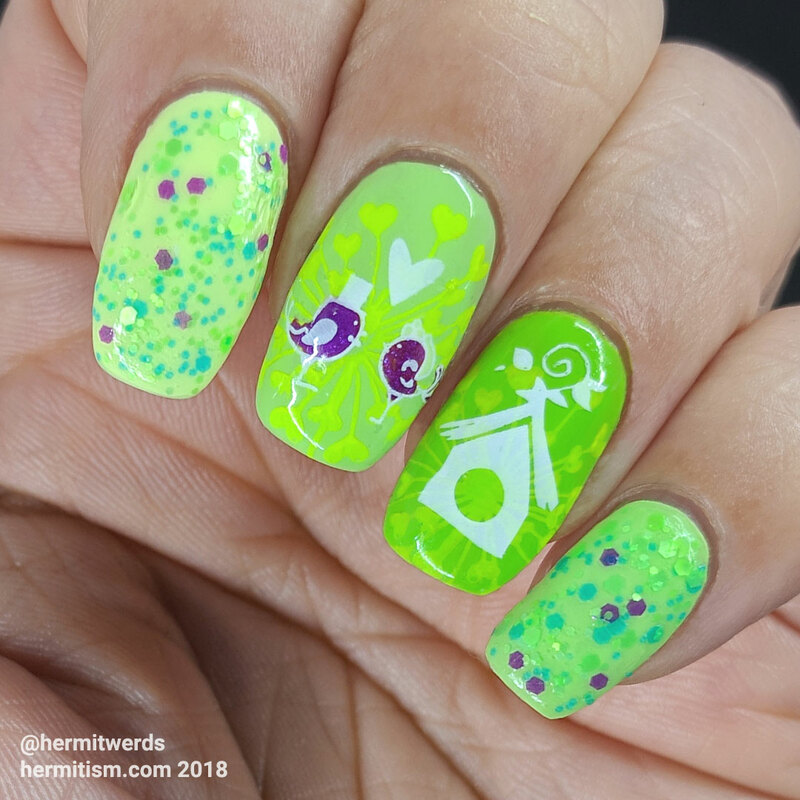 I…wasn’t quite meaning to create such a neon mani, but I was trying to match the colors to my glitter topper and that meant a lot of color because I didn’t want to paint a white base. 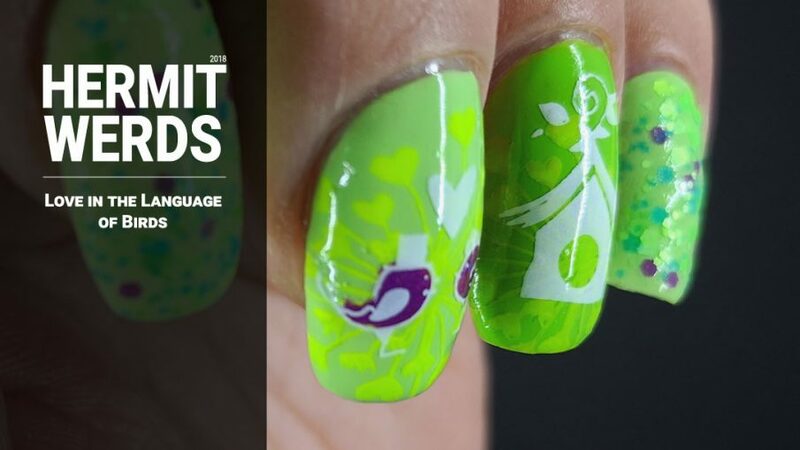 #26GreatNailArtIdeas’ prompt for this week is Love, but No Pink or Red. I am pretty sure I managed that with the color scheme. And if you can see past the burning of your eyes, the birds are dressed for a wedding and the dandelion puff behind them ends in hearts. I actually had something else planned, but then this popped into my head and I did this and then I did the other thing and…it bombed. So, yeah. 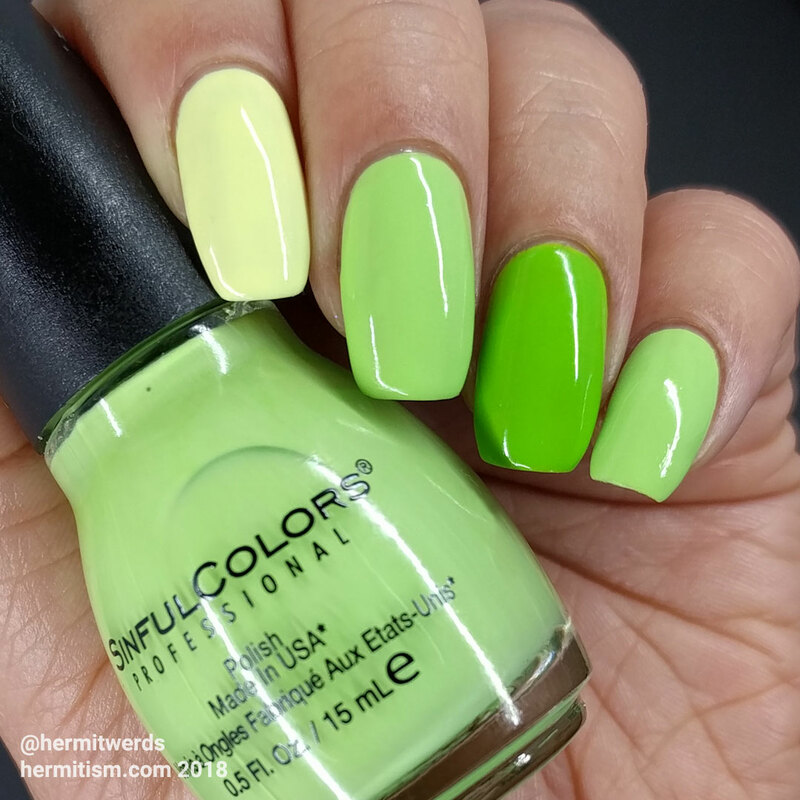 You’ll probably see it later when I rework it into a mani I can be proud of. And it will probably have red in it since it’s also supposed to be for Chinese New Year and I won’t have to follow this prompt anymore. Weee! And now, check out all the love in not-traditional Valentine’s Day colors. And Happy Chinese New Year, wherever you are!